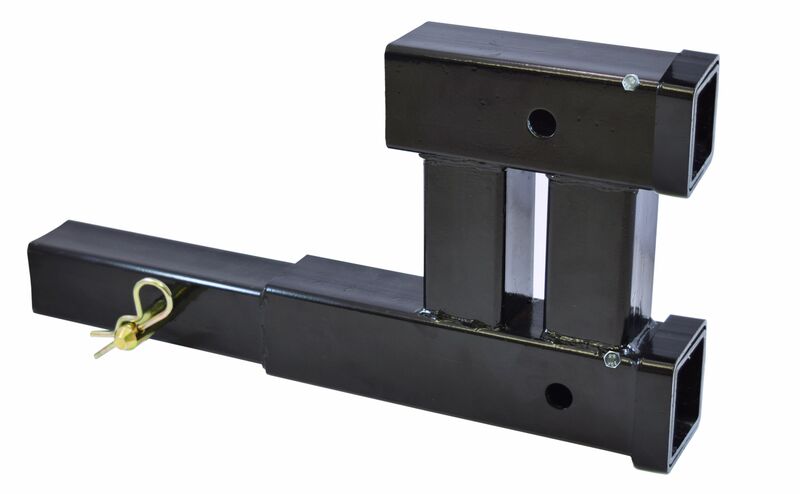 I would favor the top one, as it reduces the leverage the tongue weight would have on the chassis compared to the bottom one. I use one like this, it works great. Ladder rack would be in my way. Another option is put the rack on the car and your bikes on the car rack. I would not want anything more than a very light weight lawn chair or two bouncing up and down on on the ladder while travelling. If you do the double receiver hitch solution, be sure that the bikes don't interfere with the toad when turning sharply. Use a dual hitch extender... The work great. 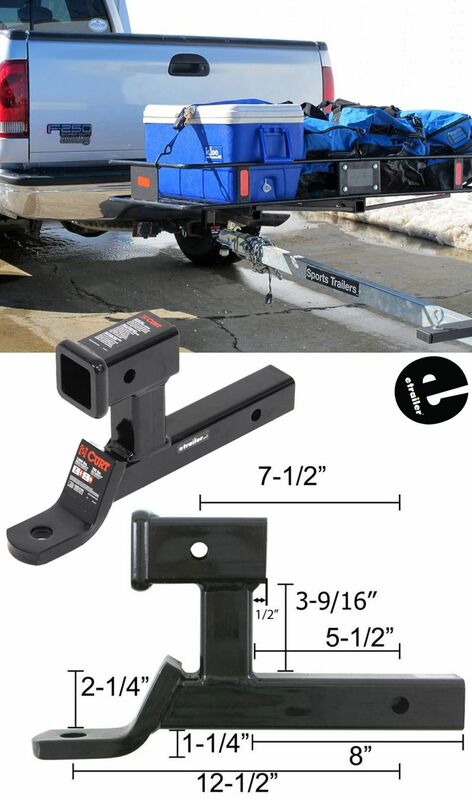 Car or boat attaches to lower receiver, bike rack attaches to upper receiver. Price is reasonable too. We carry our bikes on the rear hitch of the tow vehicle. This way there is no extra weight resting on the PC, and we can drive to the bike trails with the tow vehicle. The draw back is that we bring our bikes everywhere when driving our tow vehicle, unless we take them off and lock them up at the camp site. We did the same, the first time I used my Ranger for a toad. When I checked my mileage at the end of the day, I discovered I was only getting 7 mpg over flat Texas land. I moved the bikes into the house for the trip back, and got 8 mpg on the way home. We carried the bikes on the RV hitch for years before we started dragging a toad and never noticed any impact to mileage, since the motorhome shielded the bikes. Of course, a pickup is the worst case, and we used a bike cover, but even so, not much of the bikes were exposed above the bed. I was surprised at the impact to mileage. We finally bought a Smart car last year, and sold the E-bikes. We've only taken one trip with it, but we averaged 9.5mpg on that trip. I think it's so small that it's mostly in the shadow of the RV, like the bikes were.